This is the era of internet, where people are going tech savvy. From, students to big professionals use the web to fulfill some or the other needs. LinkedIn is basically a site for all the professionals out there. It is considered to be one of the largest and the most prestigious professional network, which provides every individual a wider platform to expand and grow their business. On the other hand, Microsoft tends to be one of the largest platforms which offered a mobile and cloud- first world with a mission to empower the entire world and every individual. Greater usage of a smartphone in the world made LinkedIn develop a mobile app for all the smartphone’s to make the usage handy for the users. Which led to the increase in the number of LinkedIn profiles in the due course of time. With that they also made an effort to enhance the newsfeed in LinkedIn so that the user could experience the best insights for business news, created a better version for the recruiter’s product and much more. In a definitive agreement, it is being announced that the Microsoft is all set to acquire LinkedIn for $196 per share, with an all- cash transaction which is valued somewhere around $26.2 billion. The acquisition also includes the LinkedIn’s net cash. Even after the acquisition it is said that LinkedIn would definitely enjoy independence or say liberty along with retaining its culture and the distinct brand. The CEO of LinkedIn will be Jeff Weiner but all he has to do after the acquisition is report the Microsoft CEO , Sathya Nadella. 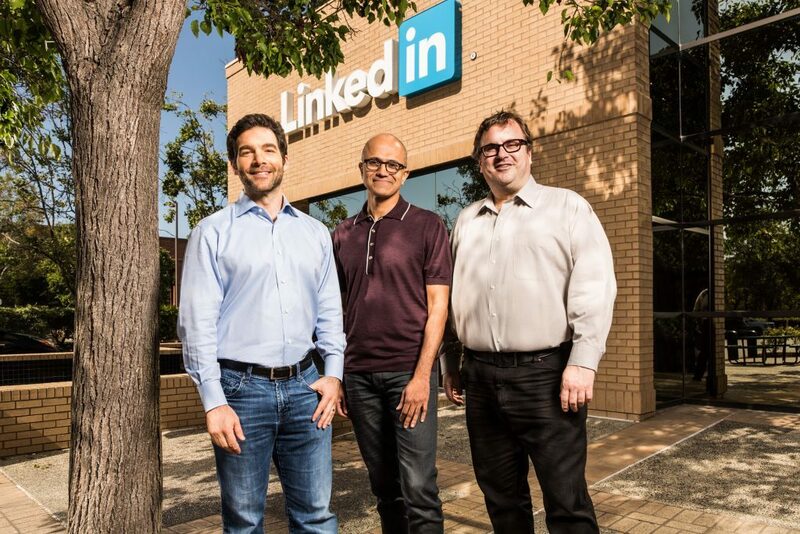 The transactions and the acquisition concerned matter are proceeded further and agreed upon fully by Reid Hoffman, who is the Chairman, co-founder and the controlling shareholder of the LinkedIn and Jeff Weiner. Reports further mentioned that Weiner, CEO of LinkedIn stated that, “For the last 13 years, we’ve been uniquely positioned to connect professionals to make them more productive and successful, and I’m looking forward to leading our team through the next chapter of our story”. Hoffman plays a vital role in LinkedIn and on this regard he stated, “Today is a re-founding moment for LinkedIn. I see incredible opportunity for our members and customers and look forward to supporting this new and combined business” with that he also continued saying that, “I fully support this transaction and the Board’s decision to pursue it, and will vote my shares in accordance with their recommendation on it”. The terms and conditions regarding the financial part are that the Microsoft would finance in the initial stage by issuing the new indebtedness, where LinkedIn is expected to report this as a part of Microsoft’s Business Processes Segment or Microsoft’s Productivity. It seems like a serious crew of members had been involved in this process. Morgan Stanley is declared to be the financial advisor for Microsoft, whereas Bartlett LLP and Simpson Thachar is said to be the legal advisor. As far as LinkedIn is concerned Allen & Company LLC and the Qatalyst partners are declared as the financial advisor and the Rosati, Professional Corporation and Wilson Sonsini Goodrich as the legal advisor. Next articleSocial Media : Can it be Used For Online Fundraising?